Lafayette will close out the 2015 football season with the 151st game in college football’s most-played rivalry. The Leopards will take on Lehigh at 12:30 p.m. Saturday, Nov. 21, at Goodman Stadium. For those who can’t make the game in person, Lafayette and Lehigh alumni will be hosting more than 65 telecast parties in 34 states. The sixth annual Lafayette-Lehigh Giving Challenge begins Monday, Nov. 16, and runs through halftime. Lafayette has won the challenge for two straight years and holds a 3-2 edge in the series. Every gift matters! The competition hinges on the number of participating donors. The school with the greatest number of supporters who make a gift of any size leading up to and during the game is the winner. 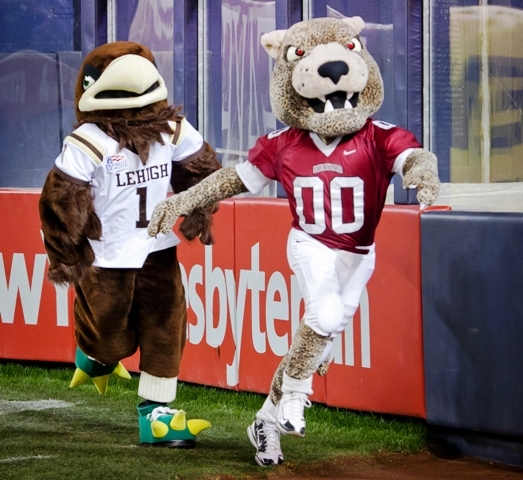 Three ways to help Lafayette beat Lehigh – again!